One of many labels operating under the equally legendary P&P family of imprints Queen Constance was operated by one Peter Brown, a truly colossal figure in NYC's music scene, it's catalogue still fascinates music lovers to this day. Covering a wide range of styles including Gospel, early Rap and Disco the label's output continually finds it way into the playlists of respected DJ's and selectors across the globe. 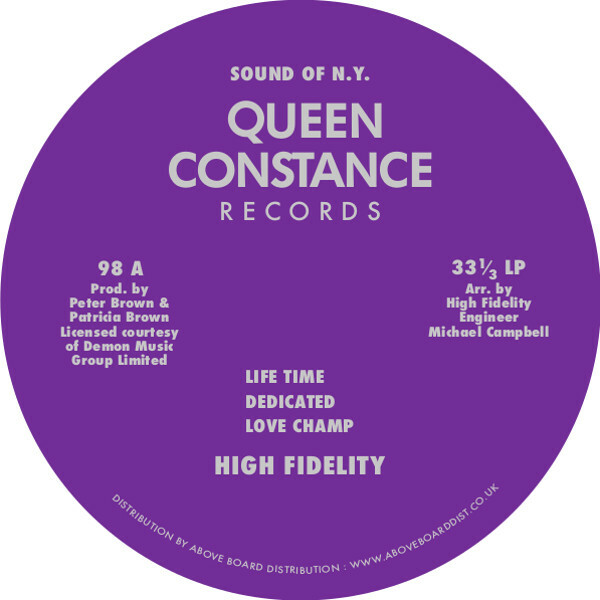 High Fidelity will be the first in a series of Queen Constance rarities to be reissued, an extremely rare and coveted record that can change hands on the second hand market for big big money, avoid those low rent bootlegs that are out there and cop this fully licensed repress. The group's self-titled sole long-player is a fantastic 6 track set of gritty, soulful and uplifting funky Disco with a DIY edge. Not too much is known about the artists themselves, or even when the record was performed, recorded or released but it certainly sounds like a group who knew their craft inside out. The energy is high across the record and the group sound like they're on fire, just check the outrageously funkified 'Magic Carpet' and you'll see what we mean. Amazing. 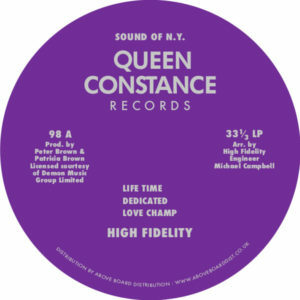 The whole project has that enchanting lo-fi, back-street feel to it in terms of production and the mind boggles as to how such a record would have come off had it been recorded at a Motown or any other 'big' studio, but no matter as this release is perfect the way it is, an essential piece of street-level NYC Disco straight from the underground.